– Breast Fine Needle Aspiration (FNA). Fine Needle Aspiration is a quick procedure that takes cells or fluid from the lump or lesion to be examined by a cytologist for a diagnosis. Similar to a needle used to take blood samples, the procedure is a simple way to get results fast in order to determine the course of action, if any, from that point forward. As part of the process, an ultrasound may also be performed to help guide the physician in placing the needle into the correct area. This is especially important if the lesion cannot be felt from the skin. The ultrasound is also used in defining a more specific breast cancer diagnosis, together with the FNA. To assure the patient of any issues you may have, the physician is there to answer any questions and to make you as comfortable and at ease as possible before the procedure begins. In addition, your doctor will ask you some simple questions about the lump, related to when you noticed it, or if it has changed at all. Once both patient and physician are at ease, the procedure will begin. Since the FNA procedure is minimally invasive, it is considered very safe. The only requirement is that the patient not take any aspirin or blood thinners leading up to the procedure. The needle used is actually thinner than the needle used in obtaining blood. Since the process is simple and quick you can resume your normal activities immediately. Generally the whole process does not take any more than 10 – 15 minutes. Two to three samples are taken, each taking about 10 to 20 seconds. The doctor will ensure that he has enough of a sample to not warrant coming back in for another procedure. 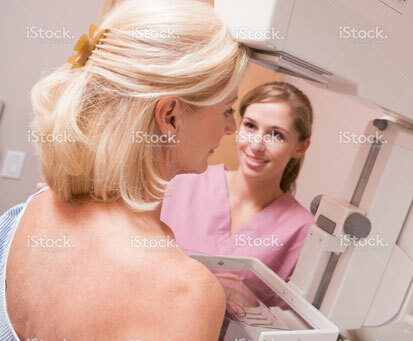 In addition to the simplicity of the procedure, the added benefit of Breast Fine Needle Aspiration is that the results will be available almost immediately. With a lab and a pathologist available on site, the results are known during your visit. Once the sample is taken, it is brought to the lab to be immediately seen by a pathologist, who can provide the results of the sample back to the physician who performed the procedure. One of the chief benefits of this quick breast cancer diagnosis is that you will know immediately what the next action step will be. If the results come back benign, you know that the lump or lesion is not cancerous. If the results come back as definitively malignant, meaning there is cancer, then an immediate plan of action can be sought for treatment. If the results come back as inconclusive, the physician then may recommend a second procedure or a more traditional surgical biopsy. The procedure can be uncomfortable or painful, which is why a local anesthetic is used if needed. After the procedure, you may feel some pain, which can be relieved with analgesics. The procedure does not leave a scar. When checking into this issue with your physician, ask whether Breast Fine Needle Aspiration is right for you. When done by an experienced health care provider, there is minimal risk of significant complications. The most reported incident is that of bruising or tenderness of the area for a few days after the procedure is performed. That discomfort can be also alleviated by an over the counter medication or cold pack.